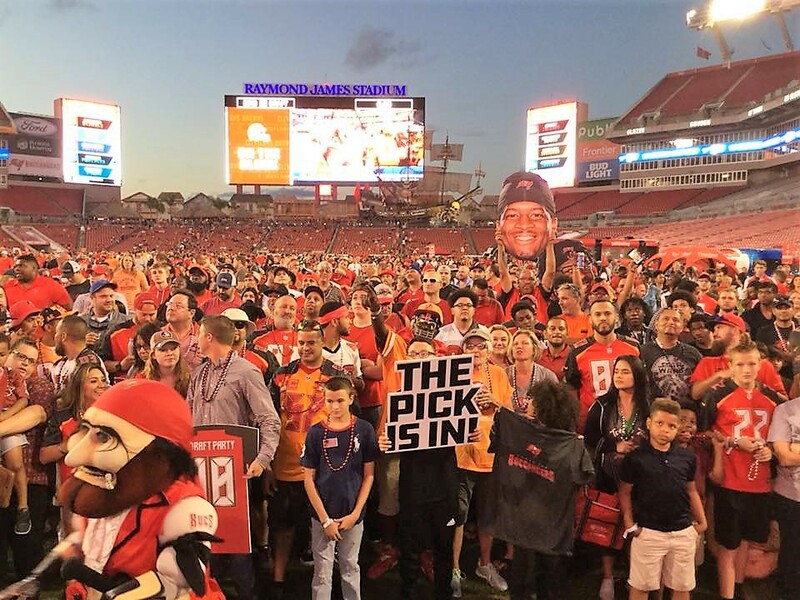 TAMPA, Fla. (FNN SPORTS) – Florida National sports crew is on location for Tampa Bay Buccaneers 2018 NFL Draft Party. Bucs fans are chomping at the bit to get to #7, and the Draft has only just begun. The Cleveland Browns are on the clock.